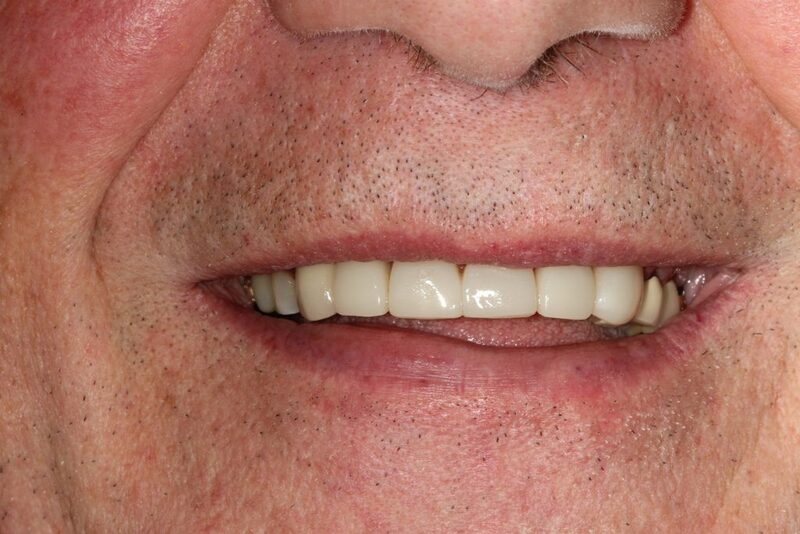 69 year old gentleman came in for consult on bonding. 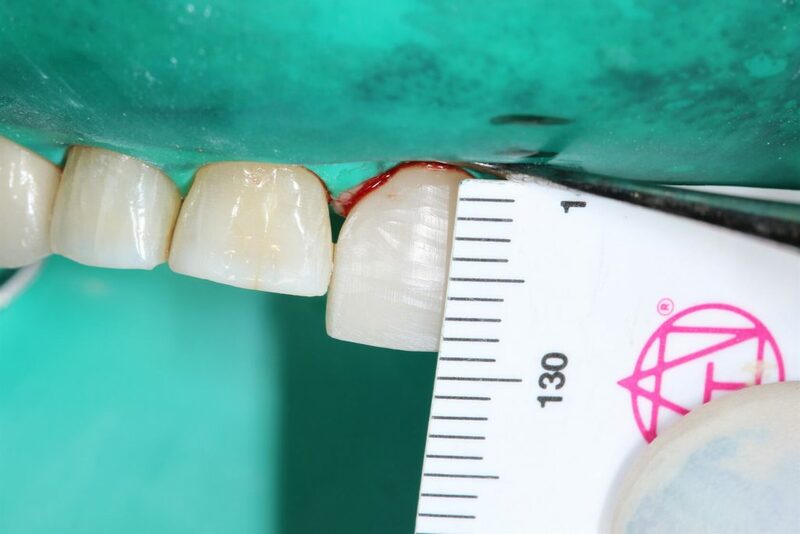 Recent crown on right canine had broken off and he was balancing it in place. 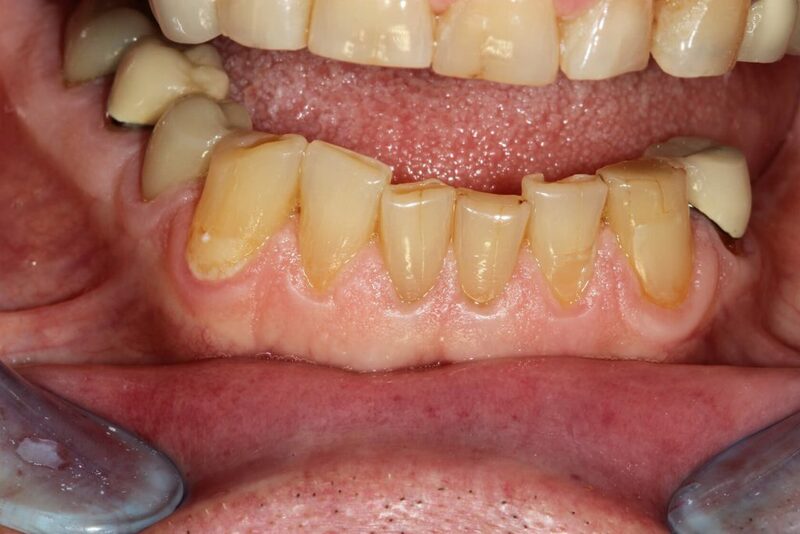 Lots of wear on remaining anterior teeth. 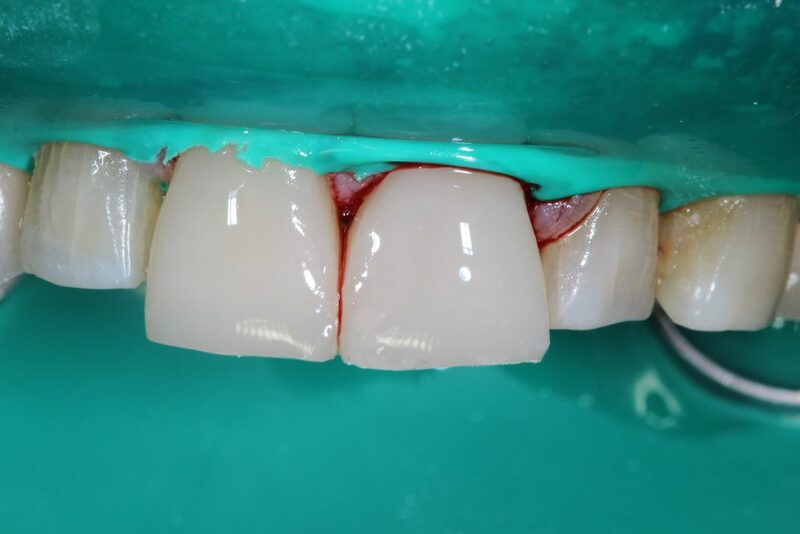 He came back 2 weeks later for an elective root canal so I could place a prefab metal post and bond his crown in place. 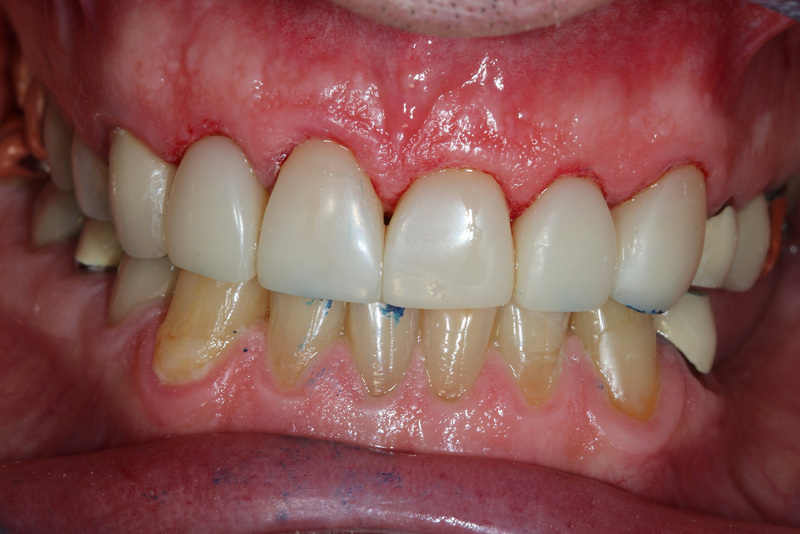 He was back a month later when I bonded his 5 remaining anterior teeth. 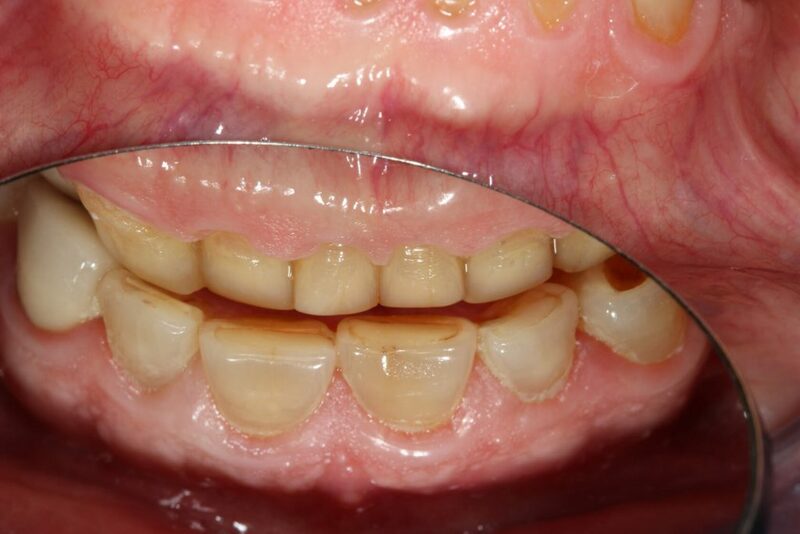 Some one placed a case asking for help with lengthening anterior teeth and I discovered these pictures buried in my computer so thought I’d post them to maybe help answer some questions about the problem. 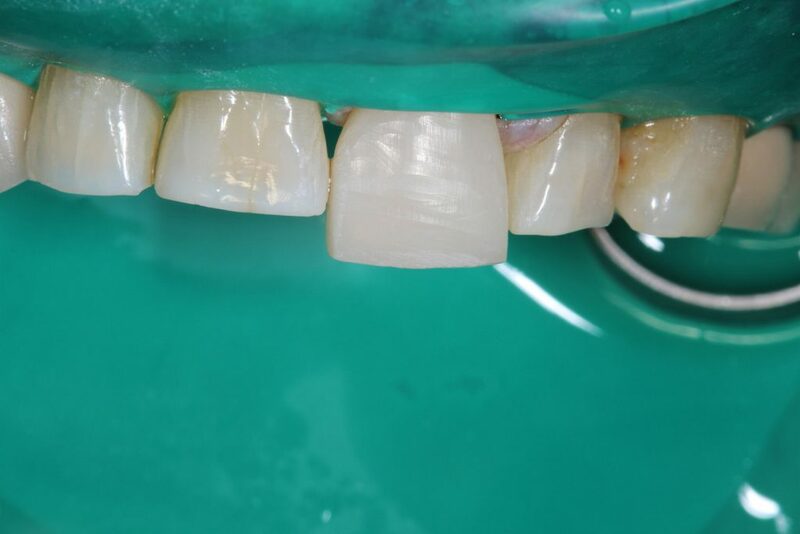 Picture with his crown bonded in place a month after RCT and post was cemented. Starting to bond his teeth. 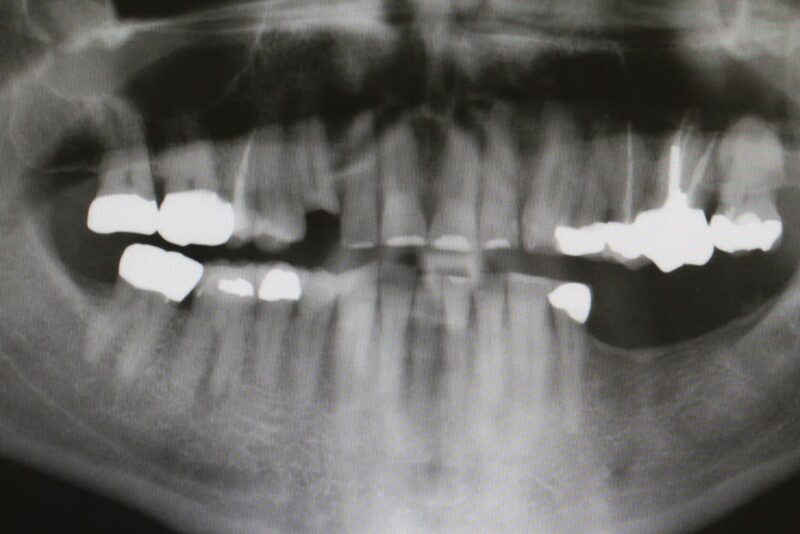 Lower right 1st molar needs RCT but not bothering him at the time so he didn’t bother with it. Doing it next week 15 months after he was informed about problem. 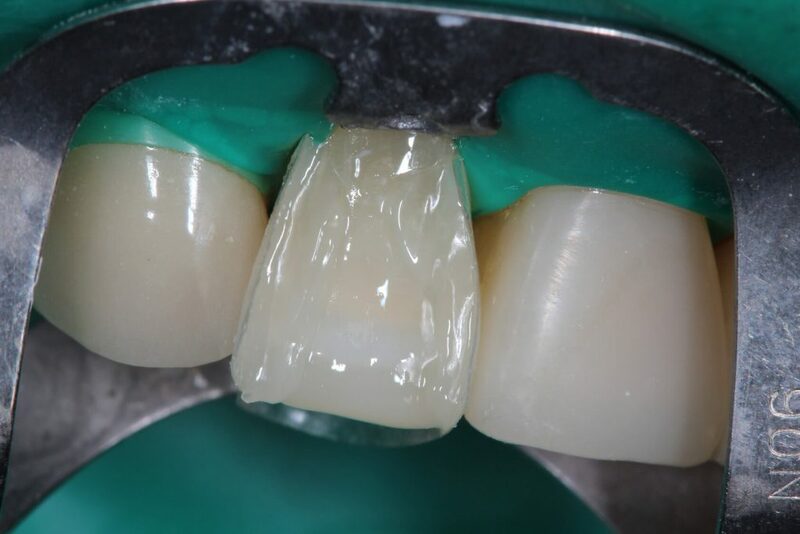 Pan shows missing crown – it had broken off a few weeks before. 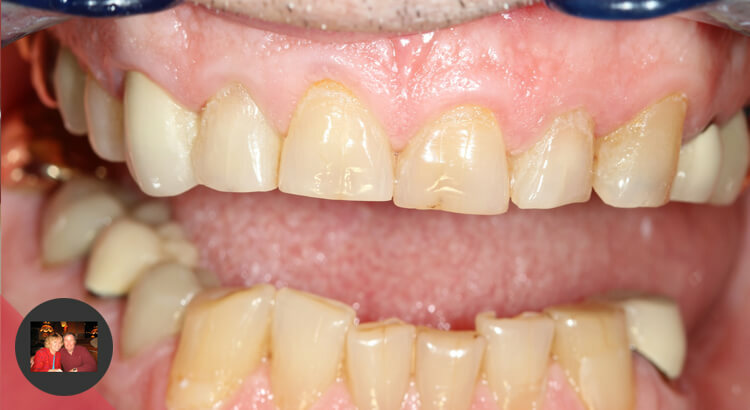 Tooth was not bothering him but recementing without a post would be a waste of money. Due to wear he has room for extra composite for additional strength on build-ups. 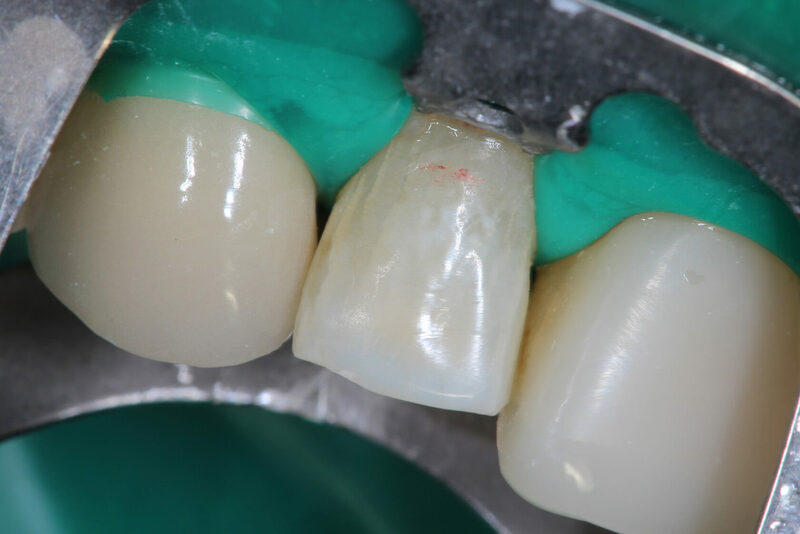 New composite crowns are a little over 9mm long. No longer square teeth anyway. 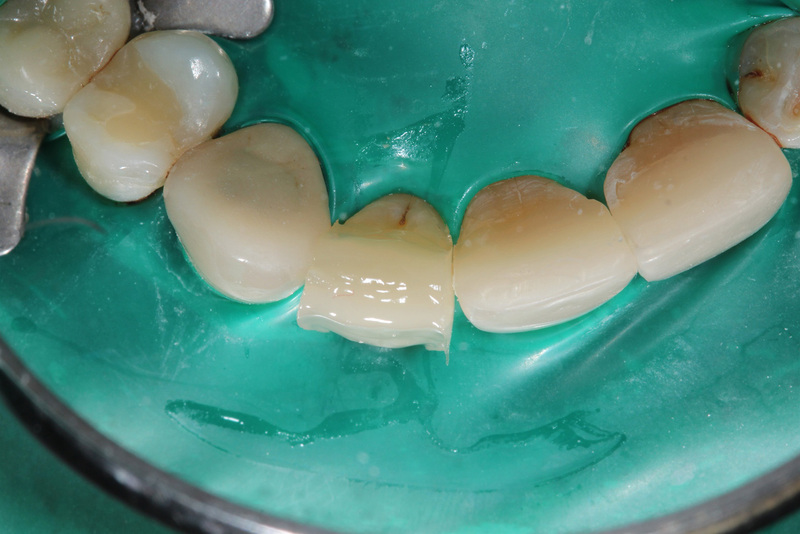 Most centrals are 10-12 mm. Always do centrals first to get midline correct. 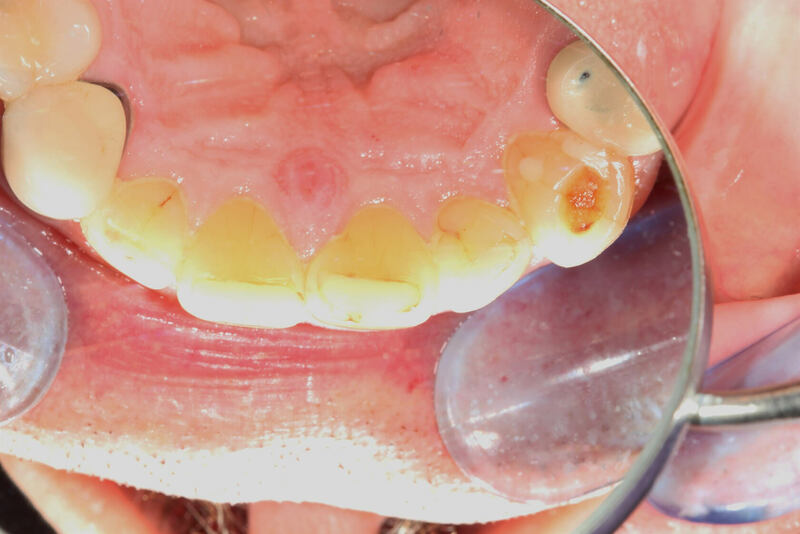 I placed a little red mark on the tooth before I place my 90N clamp to demonstrate how this clamp lifts gingiva and I can place my composite margins subgingival for good esthetics. Notice where the margin is with the clamp in place. 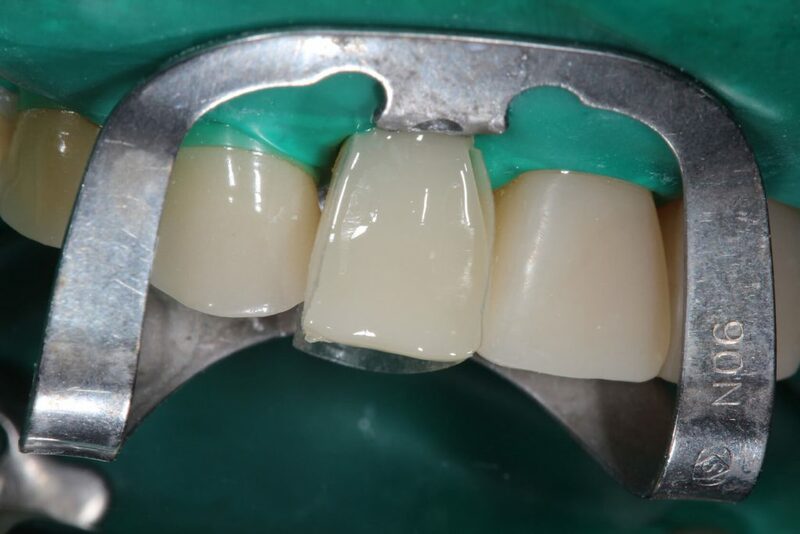 Premier cure thru contoured matrix subgingival and held in place with rubber dam. 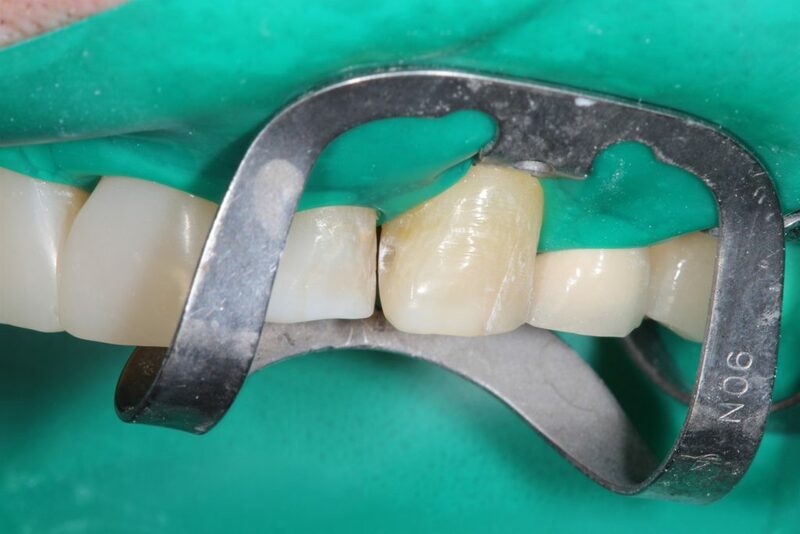 I will place my composite on the incisal-palatal with my 1st increment. This will help establish my length. 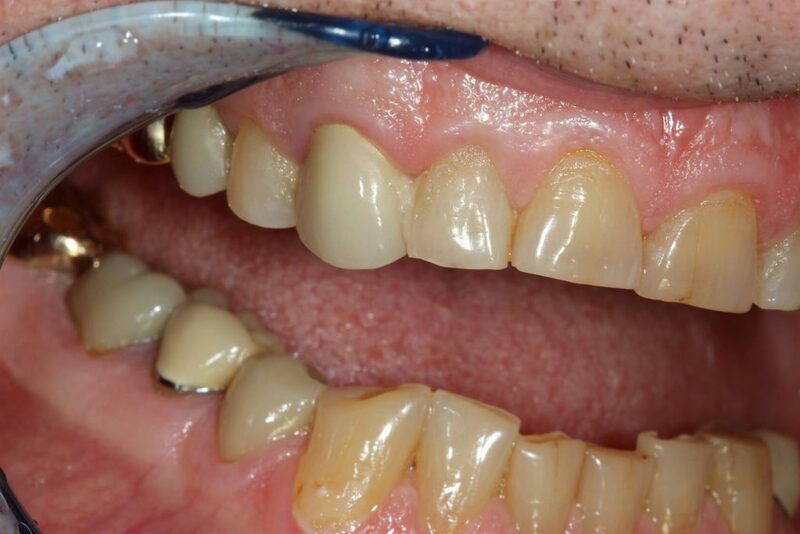 Some composite added to labial. 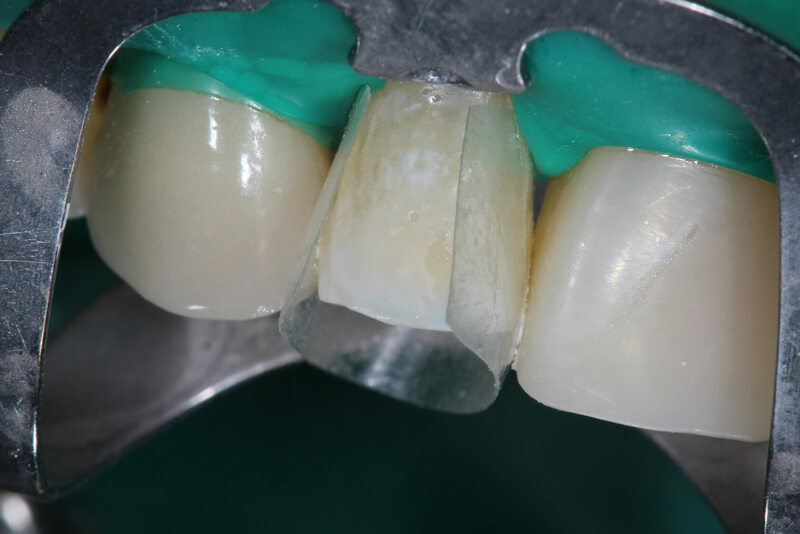 This increment will cover the whole buccal surface in one piece to help eliminate finish lines and reduce air bubbles. 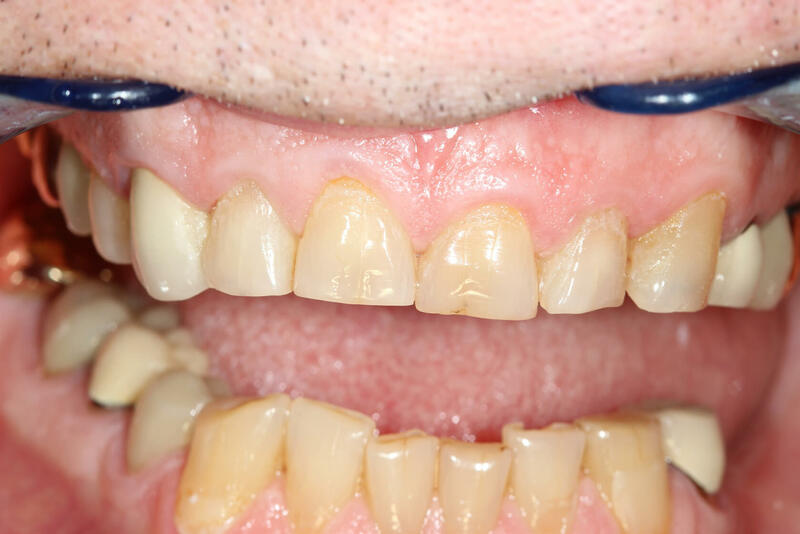 Buddy Mopper will take this increment and flatten it with his fingers and place it on the tooth and I have copied his technique. 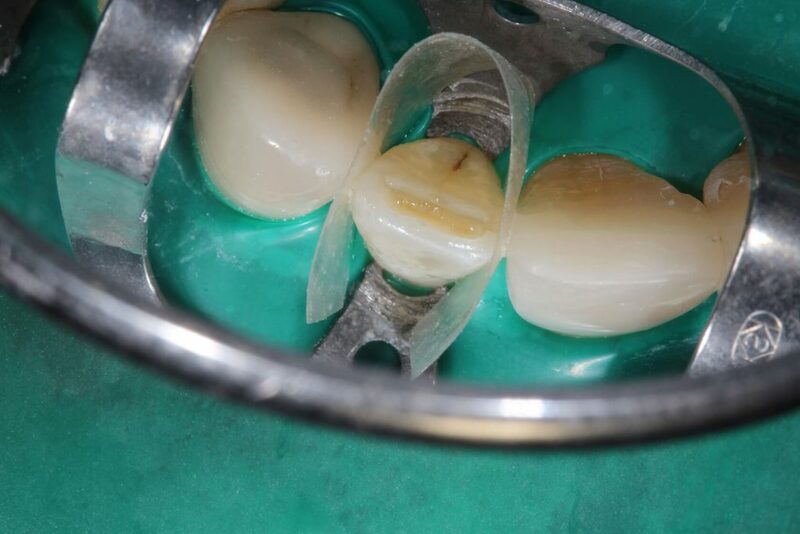 I use an amalgam carver – 1/2 3 Hollenbach for working the composite on the labial surface. 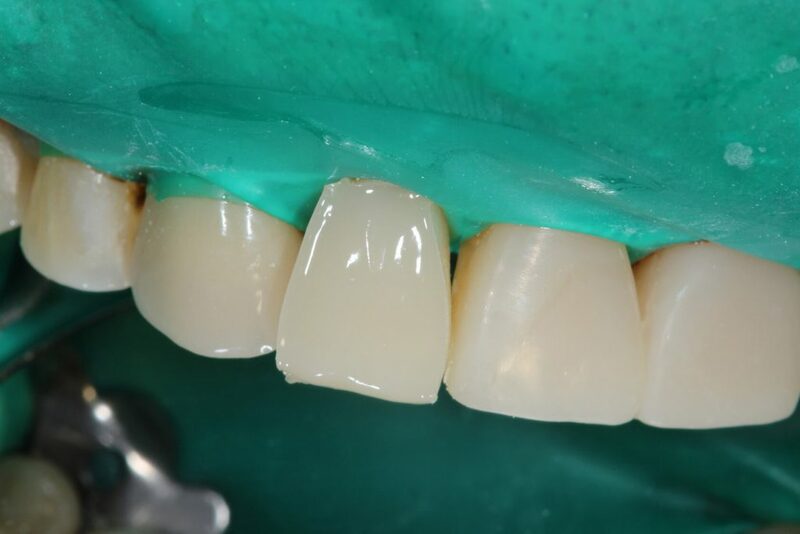 Composite all added to the tooth. 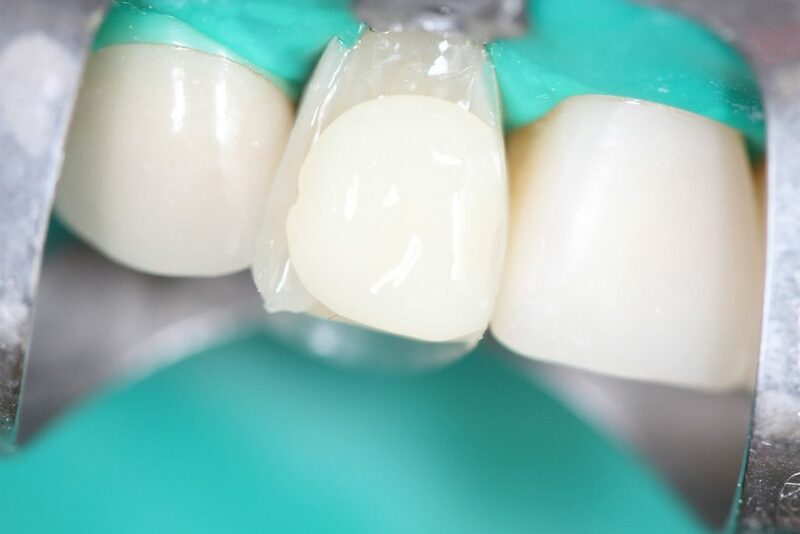 I simply reduce the labial surface to what I consider an ideal shape( takes 1 or 2 minutes- you might be quicker) with my 7901 carbide and use my superfine Soflex disk to polish the tooth. Tout fini!! Teeth are definitely whiter as this was Z250 A2 with AllBond 2. 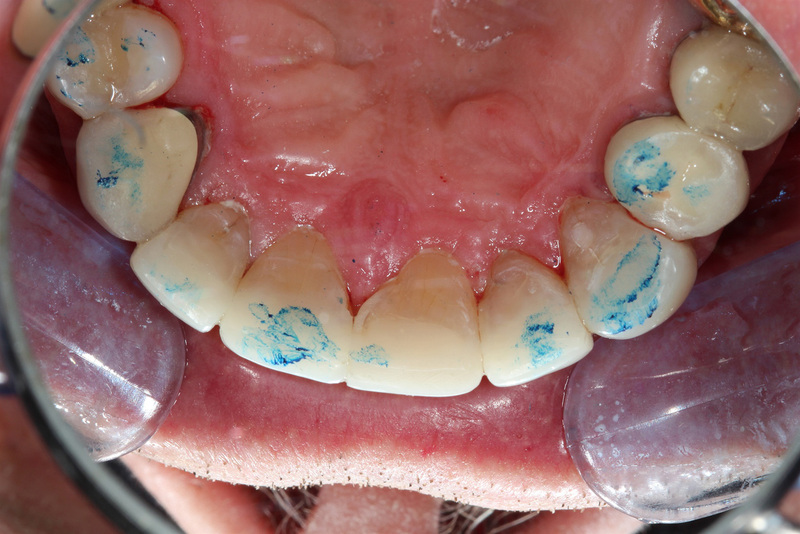 Just place articulating paper between the teeth and grind the blue spots till all is even. In occlusion. 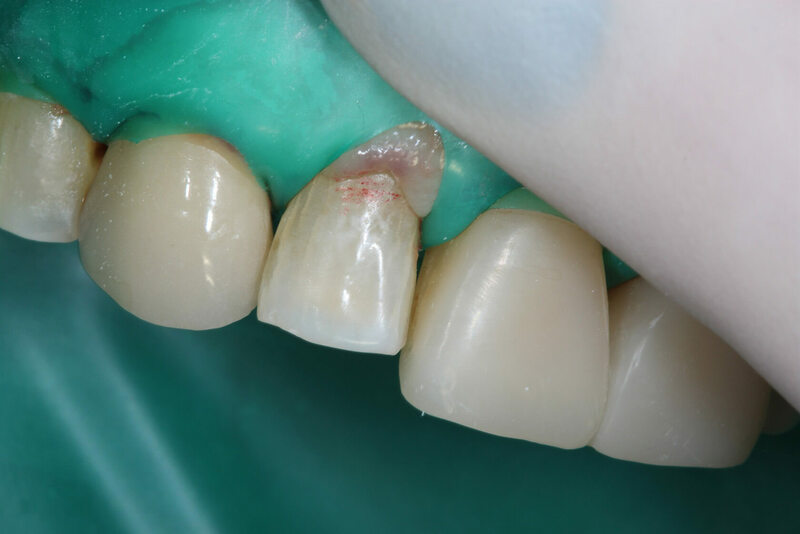 If incisal edges are level I have not had much problem with chipping and fractures. 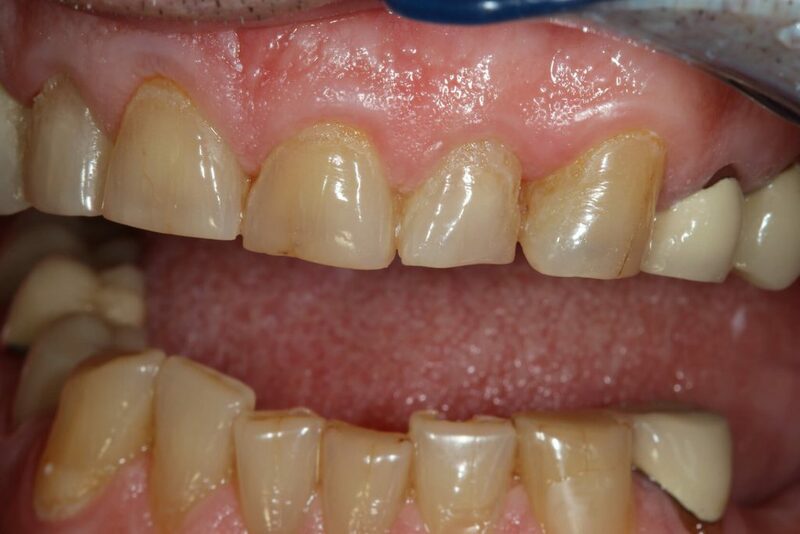 Patient was in for recall in June and was doing well and pleased with his new teeth. 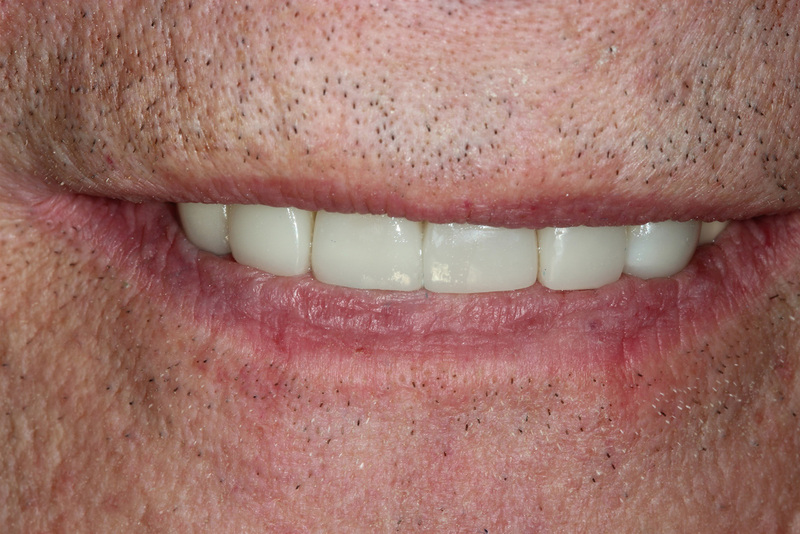 We all know as we age we show less upper tooth structure and more lower teeth tend to show. Gravity takes effect!! 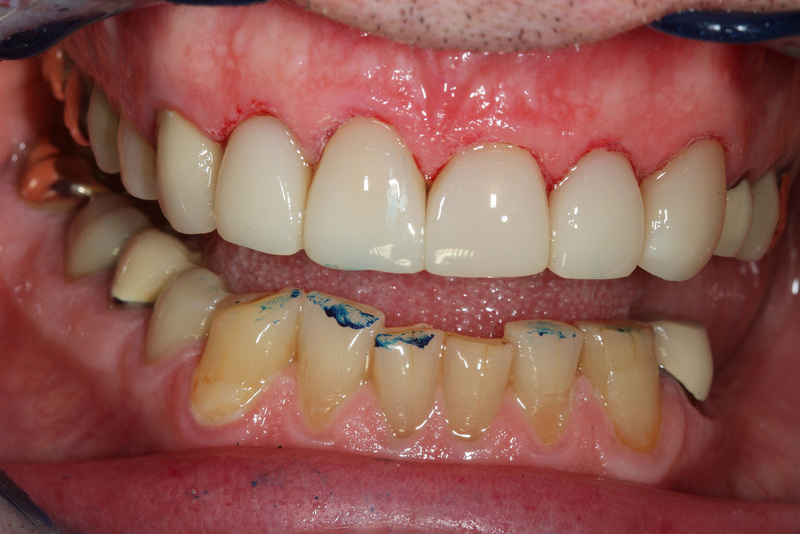 Does not show any gingiva when he smiles so uneven zeniths are not a problem.